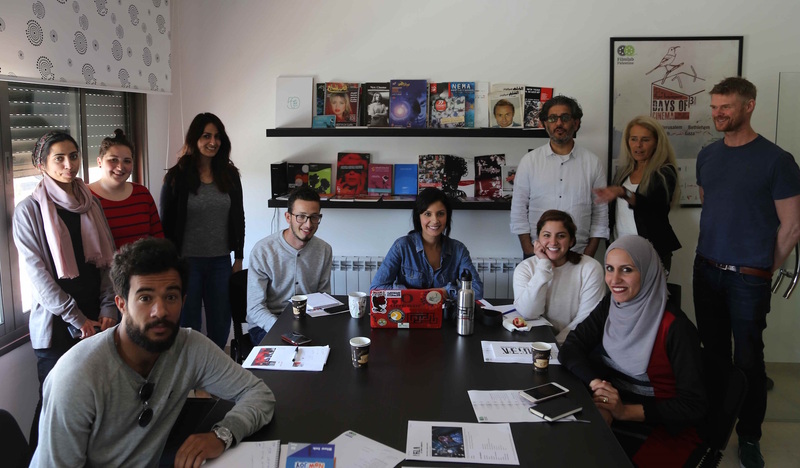 Filmlab: Palestine implements a three-day Training of Film Trainers, in partnership with the Danish Film Institute, and the Danish House. The aim of the training was to better enable Filmlab's staff and aspiring filmmakers to train staff of other Palestinian organizations who wish to strengthen their work with film education for children and youth. The training focused on utilizing the smart equipment used by youth (IPhone, IPad, etc.) to produce their own films and tell their own stories, and how to have a dialogue with children and youth about films they’ve watched. This training is part of a long-term strategic partnership between the three organizations, aimed at strengthening film and cinema culture in Palestine. The training was performed by Charlotte Giese of the Danish Film Institute and Kasper B. Olesen of Lommefilm.